I am so excited for this new product that I created!!! I am always looking for ways to target expanding utterance length, working on verbs, and working on pronouns. I have visuals that I use with different pictures that I own, but I wanted it all in one place that would be super easy to grab and go. With all of this in mind, I created Kids in Action! 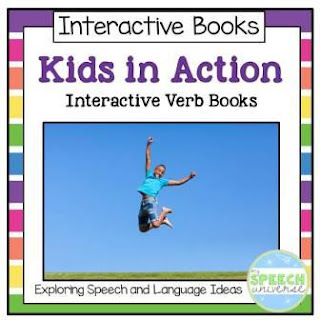 Interactive Verb Books. This is a set of six books. 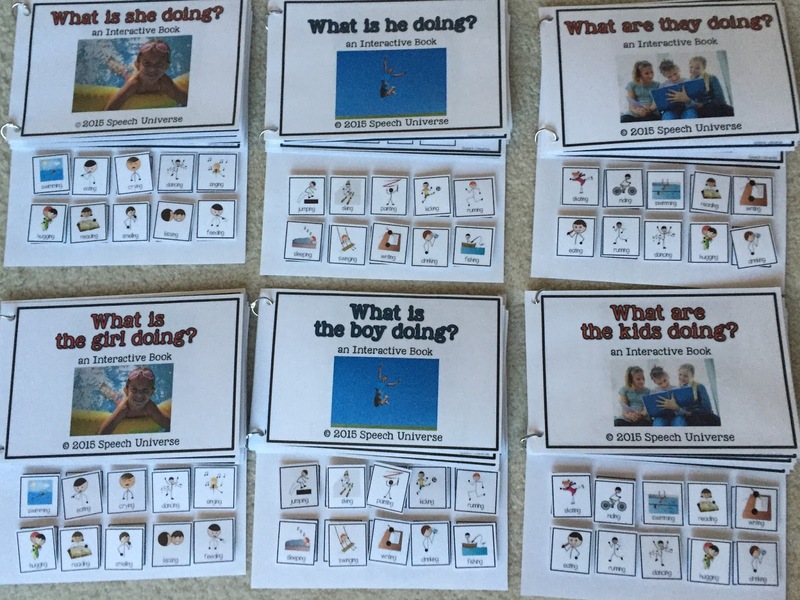 Each book provides visual supports to expand utterance length and target verbs by use of interactive icons. 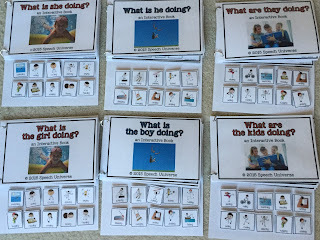 There are two books with boys (he) in action, two books with girls (she) in action, and two books with kids (they) in action. The pictures in each set are identical. The difference is in the subject or pronoun used. I have used these books with my students with Autism Spectrum Disorder (ASD) with great success. The kids love manipulating the icons in the books, and I love the language expansion and vocabulary building that I get from them. If you are interested in these books, you can find them HERE.